He goes on to say that overreliance on examples actually does “damage” to the concept, because concrete examples only ever partially satisfy the universal rules of concepts. Kant wants reason to lead in its exchange with experience; for him reason must act like a “judge,” not as a “pupil” if it is to be instructed by nature. “Thus,” he says, “examples are the leading-strings of the power of judgment.” He intends this metaphor to be dismissive. Leading-strings are the tethers that help teach a child to walk, but simultaneously restrict its capacity to go very far. This dismissal of examples is consistent with Kant’s insistence that pure reason must be strictly segregated from the sort of reason that is embedded in experience. Luckily for us innately stupid people, who cannot conceive of anything that isn’t grounded in some way in material experience, Kant never is able to describe any transcendental realm of pure reason without relying on metaphors and examples from experience to explain what makes transcendental reason and transcendental aesthetics possible as categories. Therefore, a stupid reading will be one that takes these metaphors and examples to be as important as the concepts they purport to specify. An even more stupid reading will argue that the Critique of Pure Reason requires a stupid reading on its own terms, and it is not entirely clear which of the two you are about to read. …will probably have an idea that the Critique of Pure Reason is concerned on the one hand with particular questions of scientific theory and that it is filled with discourses pertaining to the individual sciences, discourses that for the most part have now been superseded. For example, you will all have heard something to the effect that the Kantian theory of the a priori nature of time and space has been undermined by relativity theory, or that the Kantian theory of causality as an a priori category has been refuted by quantum mechanics. Our seminar’s method of approaching Kant ran parallel to this effort. Before fully developing how we approached Kant’s expressions, it is important to understand that what makes Kant so inspiring to Adorno is that the force field Adorno envisions looks something like a clamorous playground of thought where contradictions “express the life of truth.” Adorno finds in Kant a thinker that preserves such contradictions. Kant anticipates that by dividing his argument about autonomous reason into subjective and objective deductions. 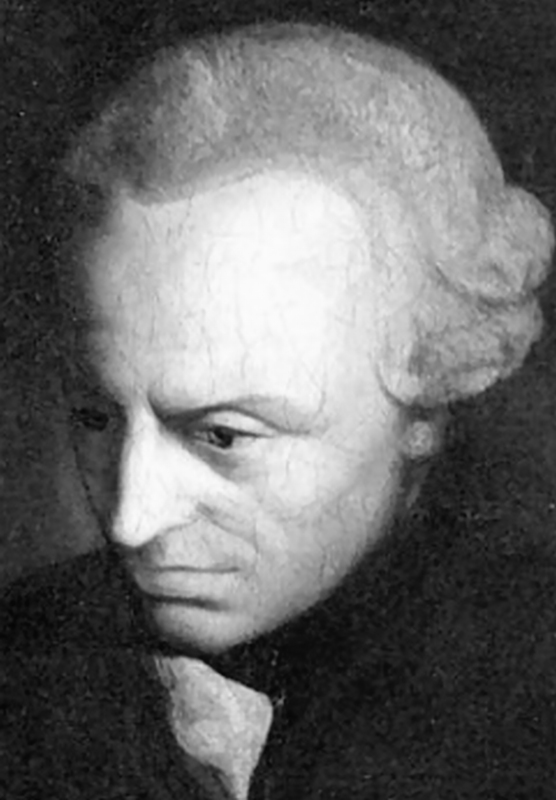 Kant says that some might view him to be “expressing an opinion” because he begins his analysis with the assumption that there is an understanding that exists outside of experience, without ever proving “‘how the faculty of thinking itself is possible.’” If his “subjective deductions” evincing the possibility of pure reason prove unsatisfactory, then, he argues, his objective ones will suffice. This is to say that when he demonstrates how pure concepts can be intelligible by giving us mathematics as evidence, this is in fact his subjective way of showing an analog to pure reason, and in the form of example, it is liable to error as an outcome of subjective act of judgment. The objective conditions for the possibility of all a priori concepts are then maddeningly derived from the fact that they are necessary to “supply the objective ground of the possibility of experience.” Kant explains that through experience we are not only given sensations, but that even in a state of total passivity every sensation will always appear as “a concept of an object in general.” These a priori cognitions, although not derived through the experiences in which they make their appearance, have no content, nothing to grasp onto without experience. This contradiction is constantly rearticulated—the logical tumult of which Adorno revels in—because Kant persists in insisting that these objects have no basis in experience even as he fails to provide a convincing (at least for Adorno) measure of what they could possibly be without drawing from material reality. Without sensibility, no object would be given to us, and without understanding none would be thought. Thoughts without content are empty, intuitions without concepts are blind. It is thus just as necessary to make the mind’s concepts sensible (i.e., to add an object to them in intuition) as it is to make intuitions understandable (i.e., to bring them under concepts). Further, these two faculties or capacities cannot exchange their functions. The understanding is not capable of intuiting anything and the senses are not capable of thinking anything. The modifiers ‘empty’ and ‘blind’ do something here. They make the problem that Kant is circling familiar and available to the reader in an intimate way. The passage suggest that these things are necessarily intertwined — empty thoughts and blind experience are somehow familiar, and their alienation from one another carries historical analogs. It is important for Adorno that everything that he reads into and emphasizes in Kant is something that can be firmly located in the text itself. This particular explication is quite nice for Adorno’s purposes, because it becomes a principle that has ripples throughout Kant’s entire argument, by establishing that the purely subjective and the purely objective are eternally wed to one another, even as their roles cannot simply collapse into one another. This space where they cannot collapse is in Kant’s delineation of a restricted but nonetheless boundless field known as the transcendental realm. Adorno sees the space carved out for the transcendental as a “torturous process” of borrowing from various other realms, but most importantly from metaphysics, from which it derives its claim to the “absolute validity” of thought that “creates and generates everything else.” Adorno views the production of the transcendental as actually taking Kant all the way to the Hegelian idea of the “identity of logic and metaphysics,” even if this is not something that Kant is willing to say outright. Adorno is less interested in demolishing Kant’s claims to reveal what they really should say than in demonstrating that even if Kant fails to get what he was after, there is already more there. By narrowing in on the metaphorical language, the figurative ‘borrowing’ that Adorno describes Kant as doing can really be grasped in an immanent and historically sensible way. Mathematics gives us a splendid example of how far we can go with a priori cognition independently of experience. Now it is occupied, to be sure, with objects and cognitions only so far as these can be exhibited in intuitions. This circumstance, however, is easily overlooked, since the intuition in question can itself be given a priori, and thus can hardly be distinguished from a mere pure concept. Captivated by such a proof of the power of reason, the drive for expansion sees no bounds. The light dove, in free flight cutting through the air the resistance of which it feels, could get the idea it could do even better in airless space. Likewise, Plato abandoned the world of the senses because it set such narrow limits for the understanding, and dared to go beyond it on the wings of the ideas, in the empty space of pure understanding. He did not notice that he made no headway by his efforts, for he had no resistance, no support, as it were, by which he could stiffen himself, and to which he could apply his powers in order to put his understanding into motion. We have already seen how helpful Kant’s metaphorical language is when he gave the description of blind intuition and empty concepts. The example of the impulsive dove helps us understand that Kant effectively compels reason to reason itself into quagmires. 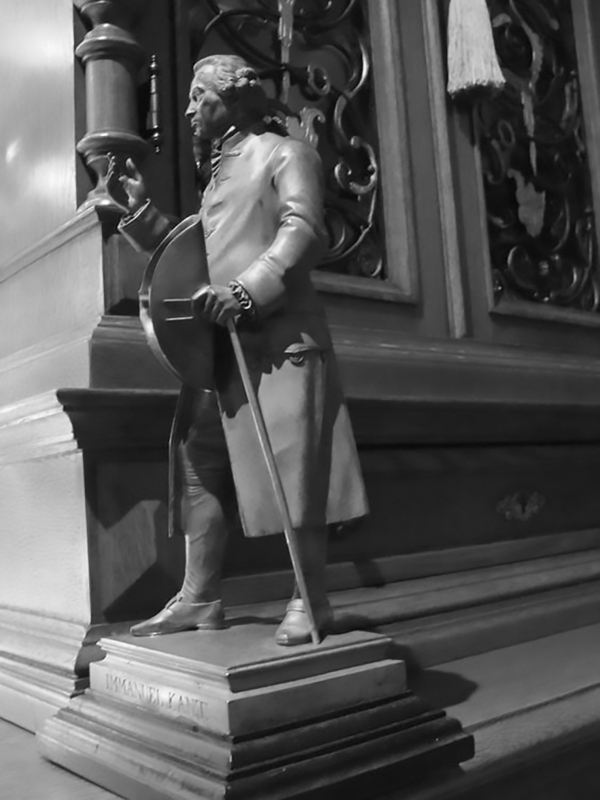 Kant prefaces the Critique by describing the fate of human reason, which, like the dove, is innocent in the blunders that lead it into controversy. First, he says reason constructs principles that are both necessary and backed up by experience. Then, as it becomes clear that experience will never cease to present challenges for reason to overcome, reason produces principles that seem to be in harmony with existent experience and yet exceed the domain of experience. Once that grounding is gone, reason has entered a problem space where all sorts of errors and contradictions can arise that have no clear resolve because they have left behind the only basis upon which truth can be oriented. This is what Kant describes as the “battlefield of…endless controversies” properly known as metaphysics. Like real battlefields, Kant describes how from the beginning its violence is uncontained and threatens always to spill out in all directions. The two extreme poles of this battle are, on one end, the despotism and dogmatism of objective truth and, on the other, the anarchic indifference of an entirely subjectively fashioned world. Neither, Kant says, have ever “gained the least bit of ground” nor held any lasting advantage in this battle. Kant’s intervention is intended to impose order onto the battlefield of reason. What is needed, he says, is a “court of justice” to govern over reason using reason’s own native “eternal and unchangeable laws.” Adorno points out that Kant is essentially calling for a “tribunal” where “the judge, the prosecutor, and the accused are actually one and the same person” such that reason is forced to establish reason’s own autonomy. Hidden in Kant’s conception of autonomy, Adorno spies the bourgeois experience of society, where freedom is equated with the autonomy of self-government or individual sovereignty. According to Adorno, this equation is the key to recognizing the “very dark secret of bourgeois society,” which is that “freedom manifests itself as a function of law.” Adorno adds: “This idea, that freedom and obedience to the law are one and the same thing, means that there is indeed an end to tutelage, but that freedom ends up merely as something that is determined by law.” By making reason autonomous through its own immanent juridical authority, we arrive from another direction at the conclusion that to make the transcendental realm transcend the empirical world that it orders, Kant secularized the formerly theological realm of metaphysics, a secularization framed in juridical terms. This is perhaps hardly a surprise, because Kant told us from the start that this battlefield was formally known as metaphysics, and only after law and order steps in is whole terrain divvied into disparately occupied zones. Adorno describes the metaphor of the battlefield as “stroke of genius,” because it reveals how Kant’s thinking goes beyond what he might have intended by showing that when metaphysics is on its own and without supervision, it is a realm of fierce antagonisms, or dialectics, rather than eternally fixed propositions. This is crucial to Adorno, who refuses to let Kant brush over his own failure to get what he wants: a successfully separate sphere for the absolute objectivity of reason, which then provides a mediating barrier between the metaphysical plane and that of experience. It is the metaphor that exposes this by running antithetically to Kant’s intention of establishing a sanctuary for pure reason. We don’t need the doves because they are so nice, but because they are our access to the materiality in the concept. They are the empirical footprints clinging to abstractions. And it is only through recognizing this that we can even read Kant against Kant. Recall Kant’s dismissive comparison of examples as the leading-strings that rein in the unsteady but willing locomotion of children. Kant believes examples to be more contained versions of concepts because they can never stray too far. However, not straying too far from the referent, from what Adorno will call origins, is exactly what Adorno wants us to resist in a philosophy that tirelessly tries to create absolute and eternal truths that appear without any source in material reality. We can use these leading strings to get us back to the origins, back to the history in truth. By looking at the metaphorical language in Kant’s Critique of Pure Reason, we can create a mirror where the historical world reappears in the reflections of a priori reason. Metaphors escape concepts and we can follow their return to earth. Adorno believes that the effort to disguise and to disappear the origins of conceptual categories has been uniformly practiced by all philosophers, “whether we are talking about Plato with his Ideas or Kant with his synthetic a priori judgments, or rather with his notion of original apperception, or whether we are thinking of Heidegger, who has made an absolute of the concept of origin and turned it into a metaphysical entity.” These philosophers look at their eternal categories related constitutively to society, and not “based on analogy,” and thus we can use their analogies to read society back into them. Philosophers are always protective of the autonomy of their categories and for good reason, as Adorno explains: “The idea of genesis is intolerable in these philosophies because the things they defend have cause to fear reflection on their origins.” Philosophy, “like the cat burglar”, always covers its tracks. We respond by reading forensically.